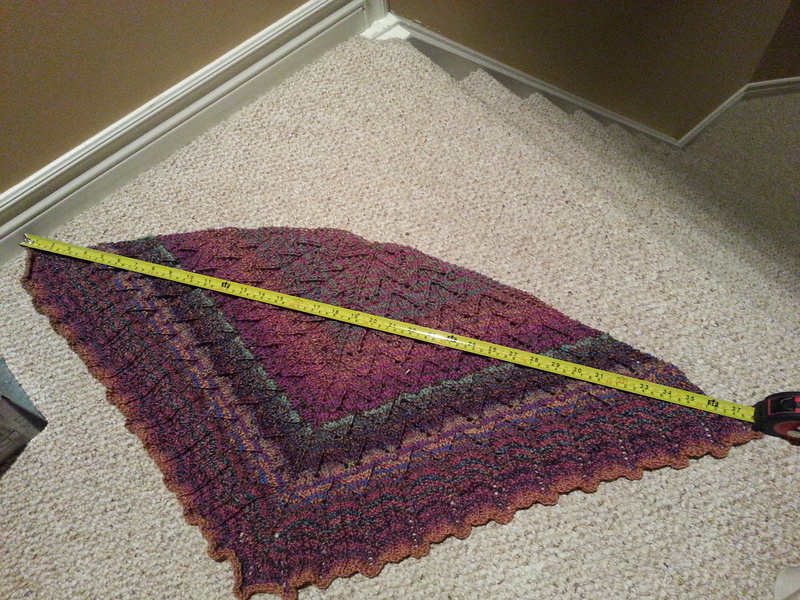 I am not sure anymore how often I have knit this “198 Yards Of Heaven” up in the past. Though mine always are more than 198Yards. 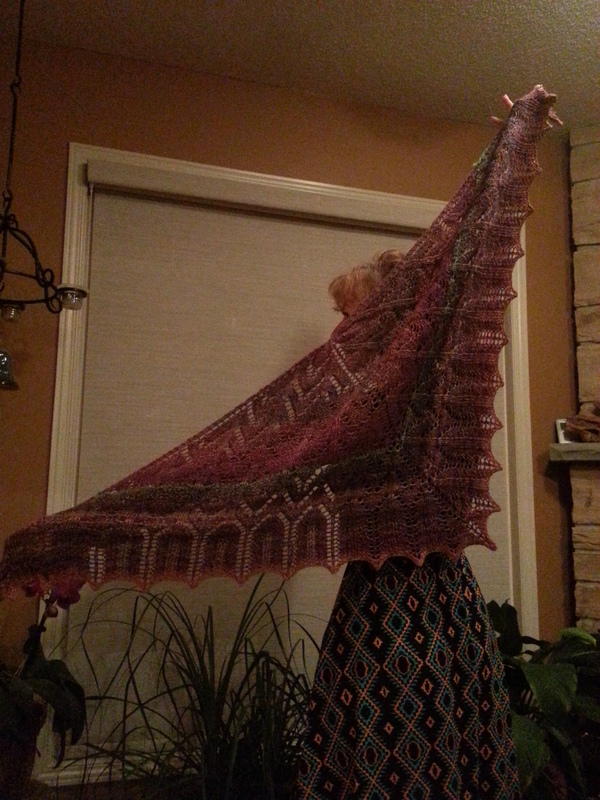 as I like to have them bigger then just the shawlette it would knit if you stay with 198Yards. 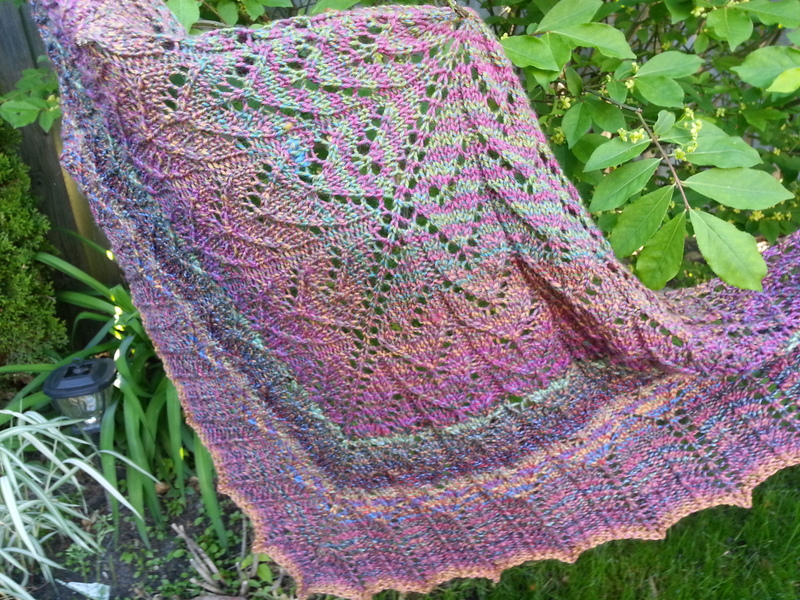 Here you see the shawl knit with Jojoland Rhythm yarn I used 2 skein in one colour RS09 and 3 skeins in RS76. 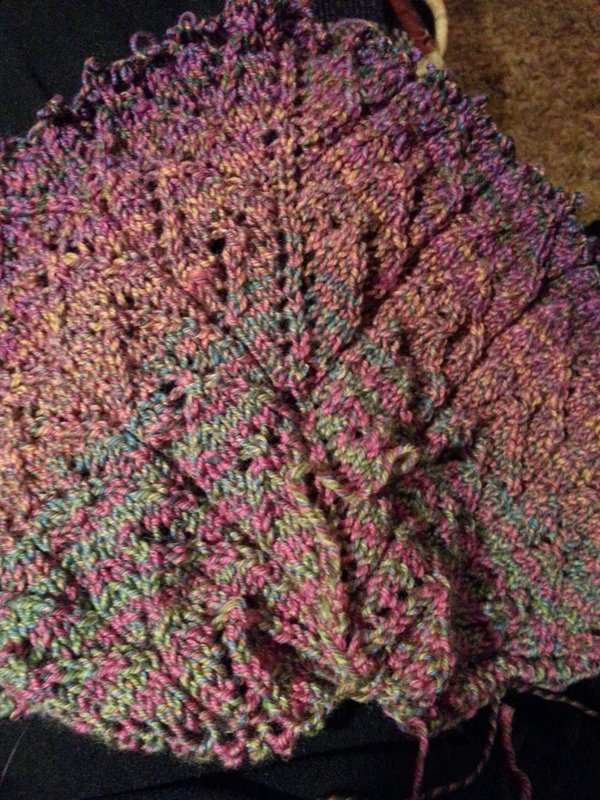 worked with tow skeins alternating colour every second row. and for the edge I just used up whatever I had left in yarn. Love the way the colours played out . This one is perfect for the cooler summer nights to though over your shoulders. The needle was a 4mm in size so easy and fast to knit up. Ich bin mir nicht mehr sicher, wie oft ich diesen “198 Yards Of Heaven” Schal schon gestrickt habe bis. Doch bei mir ist es immer mehr als 198Yards beim vertricken von Wolle. Da ich den Schal gern etwas grosser haben möchte als nur ein kleiner Schal.